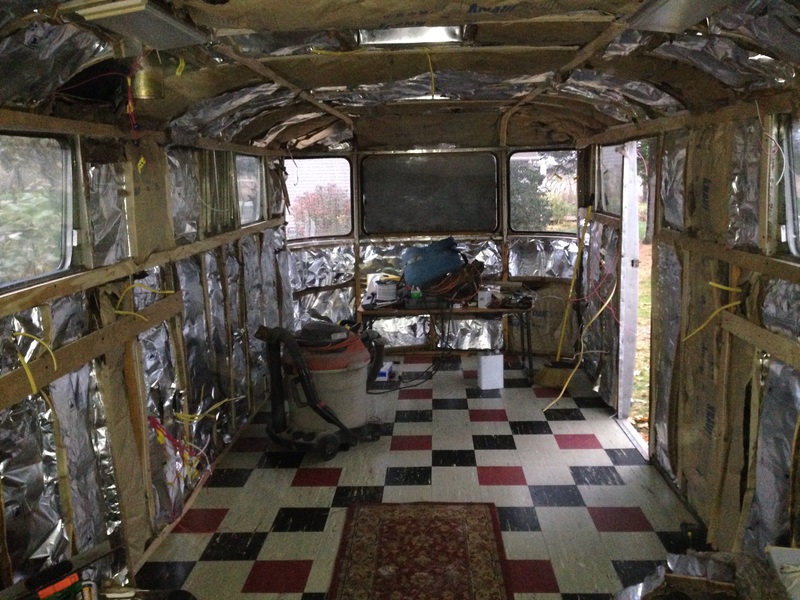 Hurrying as fast as my painful hip will let me, I got the Spartan completely insulated today. This is a huge step, and means that I can now heat it and work inside this winter after I recover from my impending hip replacement. It seems warmer inside already! I have have to figure out what to do with the stove vent, right now my feeling is to leave it and the pretty blister cover on the roof, polish the original hood and call it good. I’d also like to get the fuse panel mounted so I can juice the trailer up and not have run an extension cord through the door to get power. At any rate, I got done what I wanted to before I’m completely laid up, so I’m happy! Did you ever sell the Diamond? Didn’t you mention that you might sell it? No, we sold the ’48 Pontiac convert instead. Hadn’t been driven for three years, after 41 years it was time for a new home for it!